What's our aging transportation infrastructure costing the economy? The SEPTA Regional Rail yard on Roberts Drive. What is the cost of the country's lack of investment in public transportation? The answer: $340 billion in lost business sales from 2017 to 2023, according to a study released Thursday by the American Public Transportation Association. The public transportation advocacy group's report looked at how aging infrastructure was slowing the economy, and its effect on five transportation agencies, including SEPTA. The study cited a joint Federal Highway Administration and Federal Transit Administration report from 2015 that evaluated the status of the nation's transportation infrastructure. It was not a pretty picture. "For rail, a poor condition is found in more than 35 percent of the nation's fixed guideway elements (dedicated right-of-way), nearly 40 percent of stations, over 24 percent of maintenance facilities, 17 percent of communication systems and 2.1 percent of vehicles." To bring the nation's transportation infrastructure to a state of repair would have cost $89.9 billion in 2015, and that number has only grown since then. The American Society of Civil Engineers gave America's public transportation infrastructure a D-minus grade, said Paul P. Skoutelas, APTA president, in a conference call Thursday, with the greatest need in bus and rail networks. In Philadelphia, SEPTA estimates it has a $4.6 billion backlog in repair work. An aging infrastructure causes delays and breakdowns, and a loss of trust among riders. If people abandon transit, as has been happening nationally, fare revenue declines, perpetuating inadequate funding. Problems with America's public transportation systems translate into less efficiency and productivity in the economy. The APTA report found the state of transit in the country will cost $180 billion in cumulative gross national product from 2017 to 2023, and $109 billion in household income over the same time period. It will cause the nation to lose 162,000 jobs, the APTA report predicts. "This study shows that decades of underinvestment in America's aging bus and rail public transit infrastructure has negative effects on the economy," Skoutelas said. It could be worse in Philadelphia. During Thursday's conference call, SEPTA general manager Jeff Knueppel told a story familiar to transit watchers in this region. 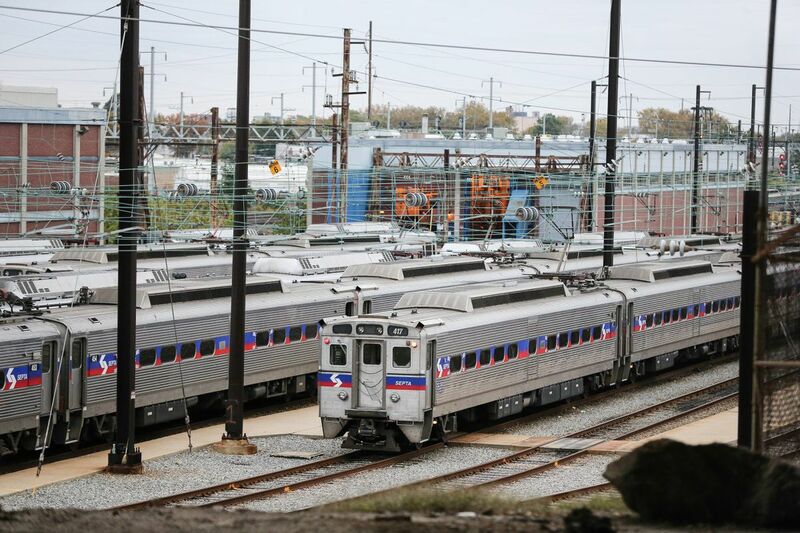 SEPTA was on the cusp of killing a huge portion of its Regional Rail network until the Pennsylvania legislature passed Act 89 on 2013 and created an oil company franchise tax that generates about $350 million a year for SEPTA capital projects. Statewide, the law should generate about $2.4 billion in transportation funding this year. The region grew by 81,000 people from 2010 to 2016, Knueppel said. The report found public transit carries 14 percent of the Philadelphia region's workforce, which accounts for $8 billion per year in earnings. "This level of growth and productivity in a densely populated area would not be possible without safe, efficient and accessible public transportation," he said. SEPTA still has issues. Aging infrastructure plays a role in SEPTA's ongoing reliability issues on Regional Rail, Knueppel said. That lack of reliability hurts transit, Skoutelas said. "The accumulation of those kinds of experiences really deter people from wanting to use transit on a day-to-day basis," he said. "We need to have systems that are reliable that folks can depend on." Where can the money come from? The report was pitched as a call to action to Congress to pass a multi-year infrastructure bill in 2019. The last federal infrastructure package passed generated $305 billion in 2015. An infrastructure budget proposed by the Trump administration looked to shift the burden for funding from the federal government to states and cities. That proposal seems to be going nowhere, but the transportation experts participating in the APTA conference call said the burden for transportation funding is already being shouldered by states and municipalities. Once, federal funding covered about 80 percent of a transportation project, experts have said. Now, it is typical for federal funds to cover about 50 percent of the costs. "I think we are stepping up at the transit rider, the resident, at the city and state level, but we need a partner at the federal level," said Edward D. Reiskin, director of transportation at the San Francisco Municipal Transportation Agency.